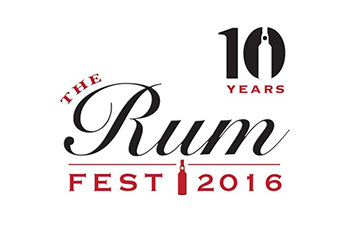 This weekend RumFest returns to celebrate its 10th anniversary and the talks and tastings sessions look mighty impressive. If you’ve been to RumFest before you will know that a lot of the fun comes from moving between all the various stands and drinks offerings that the rum companies put on. Fear not, that has not changed. Once again the big brands have been joined by lesser known brands to ensure there is a drink for everyone (as long as you like rum of course…. if not I’d stop reading this now if I were you) on offer. However it is the educational side of the show that has caught our eye. Not only will you learn stuff but you will get to hear it from some of the rum industries biggest and most talented names, as well as sampling some amazing rums, often available for the first time in the UK. The full list of talks can be found on the RumFest website but we have highlighted some of our favourites below. Ian is offering up 6 rare and expensive rums for you to sip and savour while he teaches you all about them. To make it even better he is being joined by Steve Remsberg from the US who has one of the rarest private rum collections in the world. The bearded wonder is giving everyone a break from Rum with a tasting of Whiskies inspired by them. He’ll also be promoting….. sorry ‘making references from’ his new book The Rum Manual. We were lucky enough to meet Shaun Caleb a few years ago in Guyana however this is the first time in 10 years he has visited the UK. He is a fascinating person to listen to and will be tasting the El Dorado range right from the 3 year old to the 21 year old. The 45 minutes tasting session will introduce participants to appreciate the quality of four different rums certified by the D.O.C. label (–Controlled Designation of Origin-.) and learn about COVENIN standards. These parameters specify the production process that must be followed for a spirit to be classified as rum and bear the D.O.C. Ron de Venezuela official designation; they also stipulate an obligatory minimum two years ageing in oak barrels, a 40% alcohol content and the use of sugarcane grown in Venezuela. There is plenty more going on with a room dedicated just to Agricole Rum and another for Velier tasting their amazing range of rare rums on both days. All sessions are free on the day but you run the risk of missing out on a seat. If you are really keen on any sessions in particular you can reserve a seat beforehand on the RumFest website for just £5, which considering the level of talks is an absolute bargain in our book.